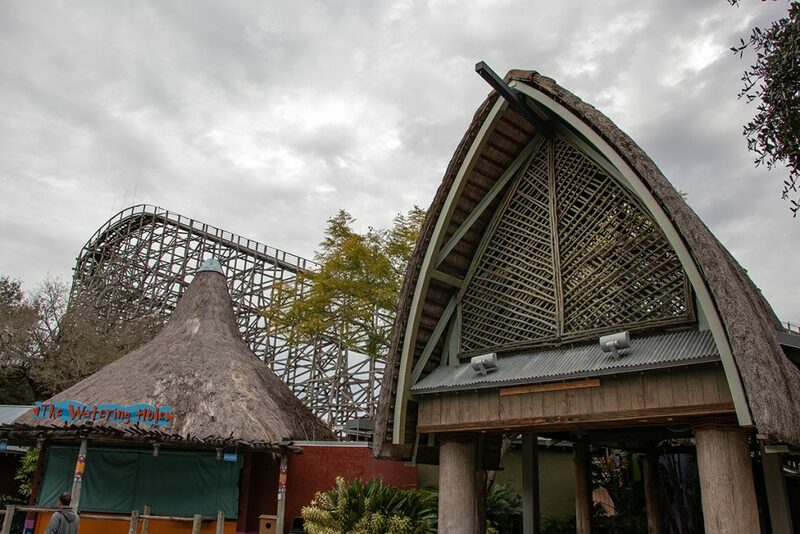 Nick: We popped over to Busch Gardens Tampa this weekend to check out the latest construction progress of Tigirs and RMC Gwazi. Let’s see how things are progressing! Our first stop of the day was taking the Skyride from the Egypt area of the park to the Congo area. You can get some great views of both Gwazi and Tigris from up in the air, so we made sure to snap tons of photos. There’s only a few pieces of track left to install, so track work should be complete in the next week or two. From head-on, the structure looks like a jungle of supports which look like they’ll provide plenty of “head-chopper” moments. I’ve never ridden a Skyrocket II coaster before, so I’m pretty excited to take my first ride this Spring! From ground level, you can see Tigris now towers over the surrounding trees. 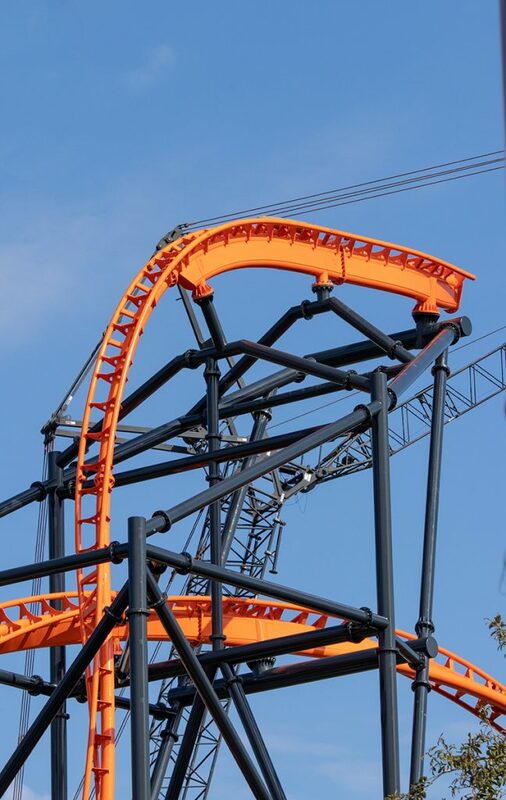 Here’s a close-up of that awesome orange track – it’s so bright and looks fantastic against the blue sky! 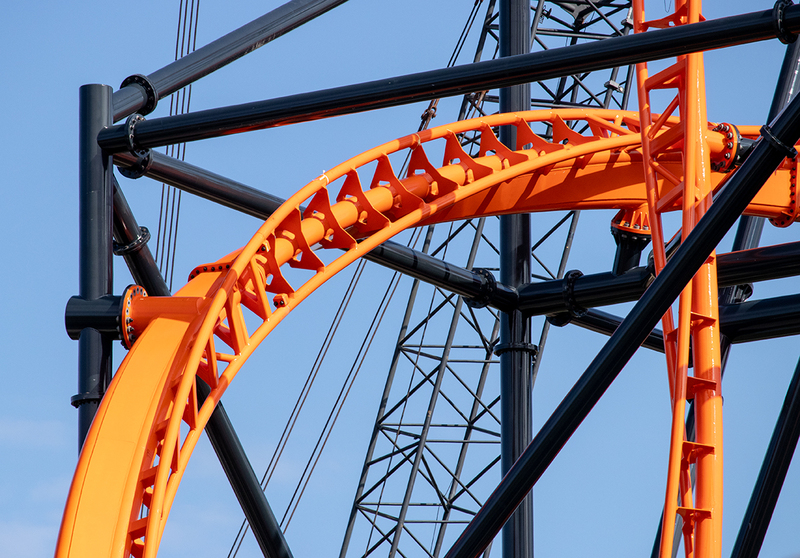 One last close-up of the drop from the ride’s highest point. 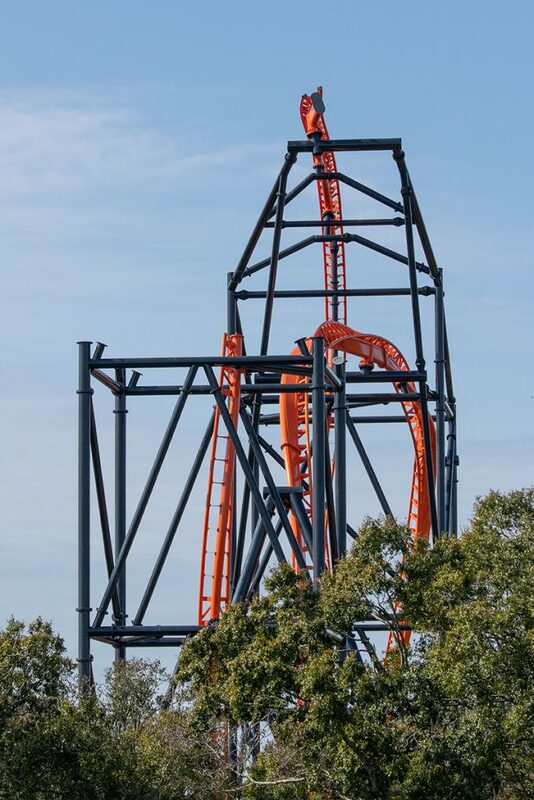 Tigris looks like it’s going to pack quite the punch in its small footprint. 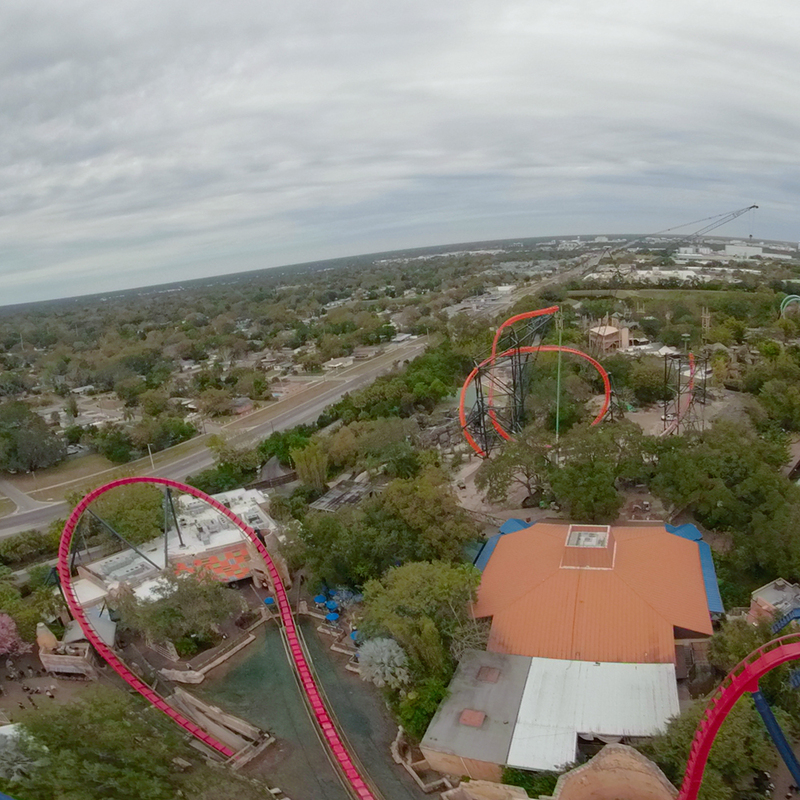 And finally, here’s a fun shot from the top of Sheikra! 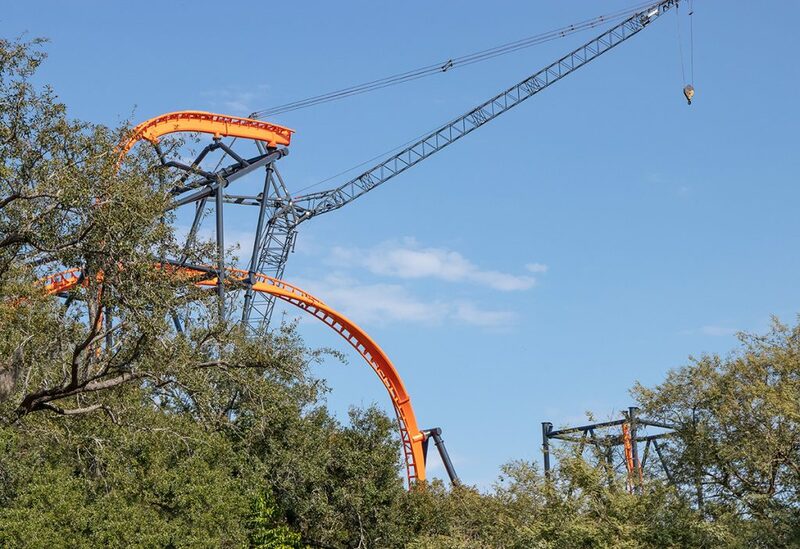 Of course, Tigris isn’t the only new attraction coming to Busch Gardens soon. 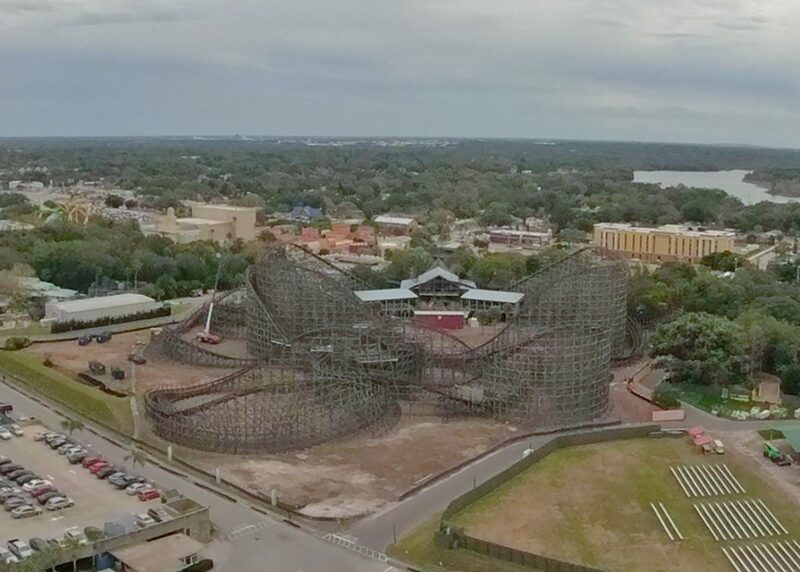 While we were riding the Skyride we also snapped several photos of Gwazi, which is currently undergoing quite a bit of demolition in preparation for its RMC makeover set to open in 2020. From the exterior you can’t really tell much has changed, yet. There was a small crane on site yesterday and you could hear the crew working on dismantling parts of the structure. 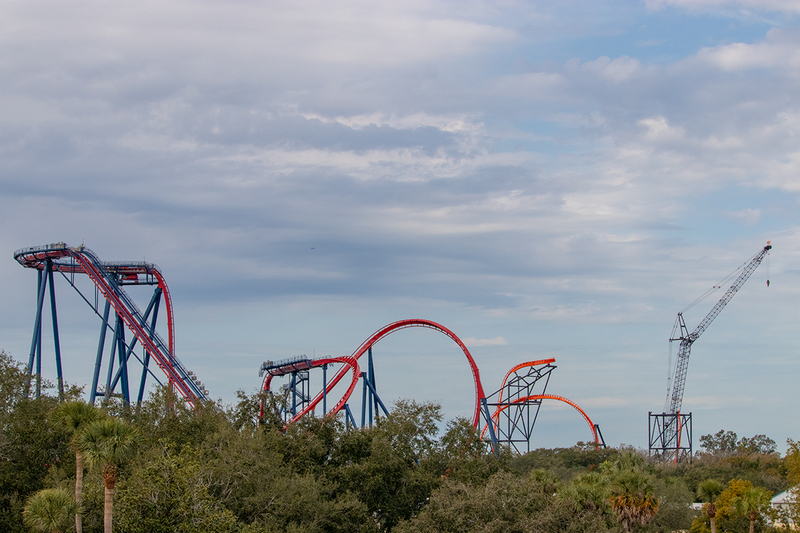 However, from the top of Sheikra you can get a much better idea of what’s been demolished so far. Large portions of the interior structure have been removed, including both brake runs and a large turn and hill on the Tiger side. 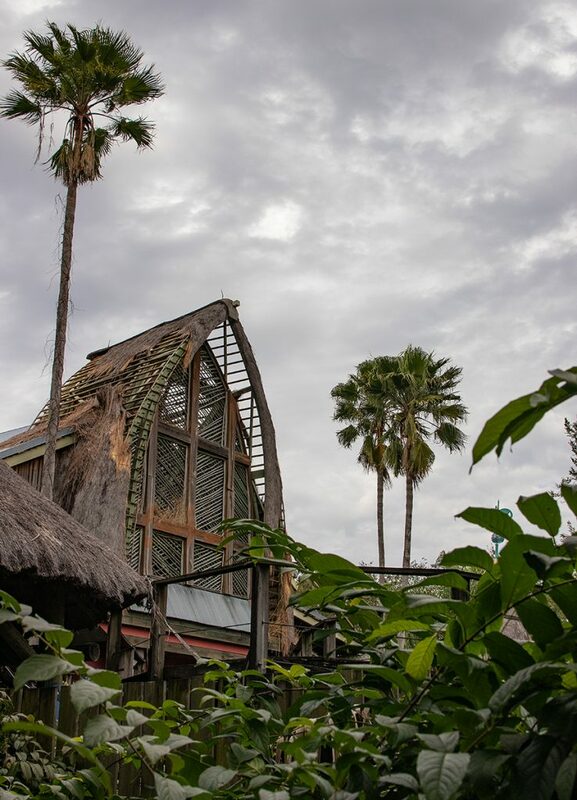 From ground level, it’s still business as usual – the main station building sits in a bit of disrepair, just waiting to become home to (hopefully) a monster of a new coaster. We’ll leave you with this shot Gwazi‘s former entrance. We can’t wait to see what this angle will look like next year! 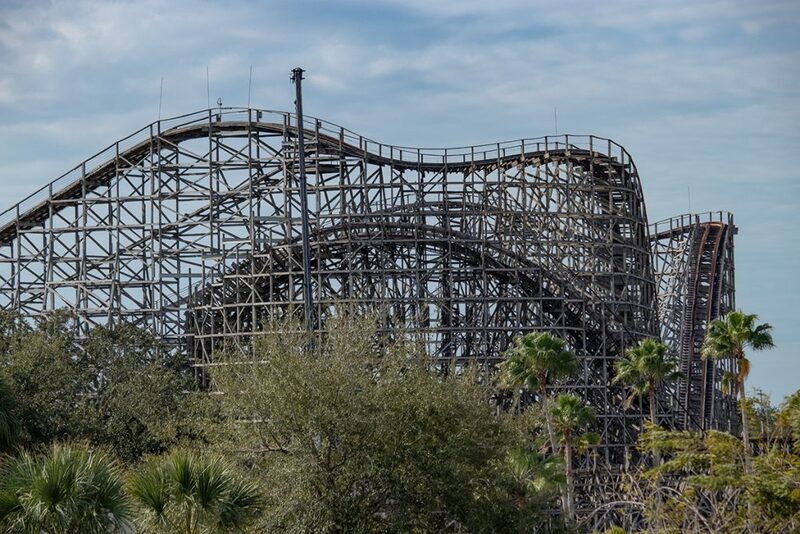 Thanks for checking out our Busch Gardens Tampa construction update! Be sure to follow along for more updates as we follow the progress of both Tigirs and the RMC Gwazi conversion! 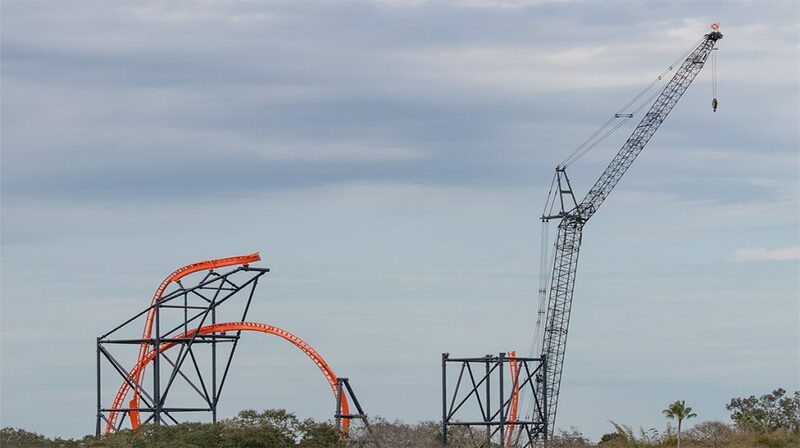 I can’t wait for the RMC trucks and track pieces to start appearing.